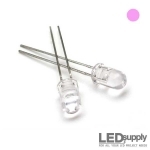 5mm LEDs in various colors. 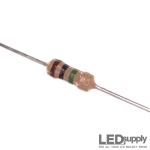 The L1-0-B5TH15-1 is a 15° Blue T-1¾ through-hole high power 5mm LED. 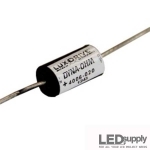 The L1-0-B5TH30-1 is a 30° Blue T-1¾ through-hole high power 5mm LED. 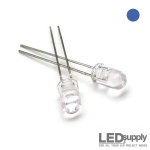 The L1-0-B5TH45-1 is a 45° Blue T-1¾ through-hole high power 5mm LED. The L1-0-G5TH15-1 is a 15° Green T-1¾ through-hole high power 5mm LED. The L1-0-G5TH30-1 is a 30° Green T-1¾ through-hole high power 5mm LED. The L1-0-G5TH45-1 is a 45° Green T-1¾ through-hole high power 5mm LED.